Blue Angel Wooden Boomerangs - for Kids 8-18! 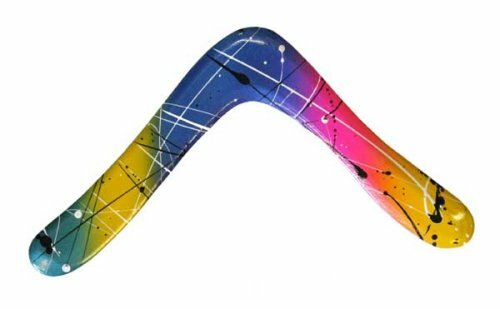 Great Boomerang Gifts for Kids. Hand Crafted in Australia by a former Australian Champion. Includes Boomerang throwing Instructions. Solid Wood Construction - Hand Crafted in Australia! Great for kids from 8-16! Very Accurate, consistent Flight - This is a Real Boomerang folks! LEFTY Carbon Fiber Composite Boomerangs - For Left Handed Boomerang Throwing!